Read this article and discover the ways that Section 179 can help make running your propane business more affordable and more efficient in 2015. 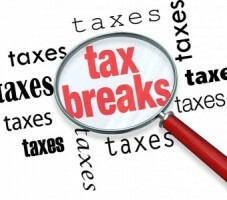 Find out how this small business tax break could save you thousands of dollars this year. Most of the following information was collected from the Section 179 website. If you are interested in more details or wish to do further research, you should visit the site. I think you’ll agree that it’s time well spent! Section 179 of the IRS tax code allows businesses to deduct the full purchase price of qualifying equipment purchased or financed during the tax year. That means that if you buy or lease a piece of qualifying equipment, you can deduct the purchase price from your gross income. It’s an incentive created by the U.S. government to encourage businesses to buy equipment and invest in themselves. How does Section 179 work? When your business buys certain items of equipment, it typically gets to write them off a little at a time through depreciation. In other words, if your company spends $50,000 on a piece of equipment, it gets to write off (say) $10,000 a year for five years (these numbers are only meant to give you an example). In fact, if a business could write off the entire amount, they might add more equipment this year instead of waiting over the next few years. That’s the whole purpose behind Section 179 – to motivate the American economy (and your business) to move in a positive direction. For most small businesses, the entire cost can be written-off on the 2015 tax return (up to $25,000). Section 179 does come with limits – there are caps to the total amount written off ($25,000 for 2015), and limits to the total amount of the equipment purchased ($200,000 in 2015). However, if prior years are any indication, expanded Section 179 limits could be restored by Congress during 2015. Last year, the measure to expand limits was passed by the House on Dec 3, 2014, the Senate on Dec 16, 2014, and signed into law by the President on Dec 19, 2014.
Who qualifies for Section 179? All businesses that purchase, finance, and/or lease less than $200,000 in new or used business equipment during tax year 2015 should qualify for the Section 179 Deduction. It’s also important to note that in order to qualify, the equipment must be financed/purchased and put into service by the end of the day, 12/31/2015. Use this Section 179 Calculator for 2015 to see how much the tax deduction can save your company. We offer a number of products that may qualify for a Section 179 tax deduction. These include our LPG/NGL Storage Vessels, Skid Tank Packages, Porta Pak’s, LPG/NH3 Transport Trailers and more. If you need additional storage, consider Section 179 and act now to qualify for a year-end tax break. It is strongly recommended that you consult with a professional tax advisor to determine your eligibility for any tax savings.